At SHOT Show 2010, Wyoming’s Freedom Arms showcased its Model 2008 break-open precision pistol. This handsome pistol should prove popular with handgun hunters and handgun silhouette shooters. 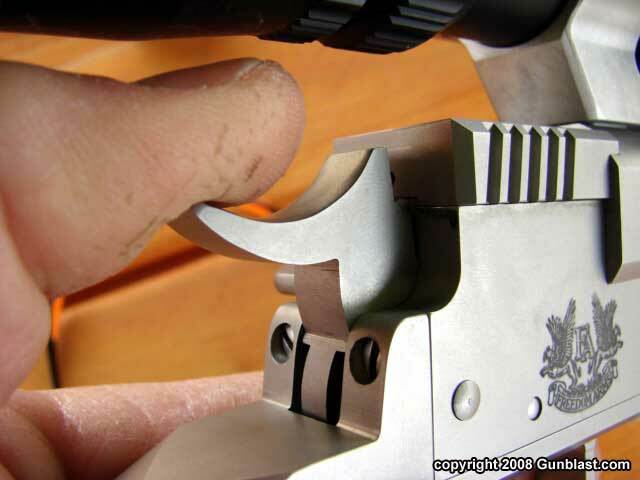 The gun is offered in 10″, 15″ and 16″ barrel lengths and with long or short wood forearms. The Freedom Model 2008 is beautifully machined, and contains many carefully engineered features to ensure positive lock-up and safe operation. In the video below, Bob Baker of Freedom Arms explains how the locking mechanism, extractor, and rebounding hammer work. Baker also demonstrates how to switch barrels. As with the Thompson/Center Encore and Contender pistols, the Freedom Model 2008 can shoot many different chamberings from one platform, giving it great versatility. Baker tells us that, when chambered in 7mm BR, Freedom’s Model 2008 can approach half-MOA accuracy with tailored handloads. 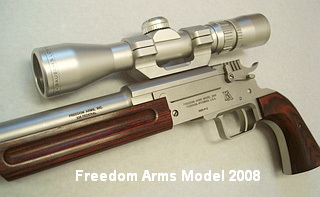 The Freedom Model 2008 starts at $1495.00, which includes one barrel and forearm. Nine (9) chamberings are currently offered: .223 Rem, 6.5×55, 7mm BR, 7mm-08, .308 Win, 338 Federal, 357 Magnum, 357 Max, 375 Win. 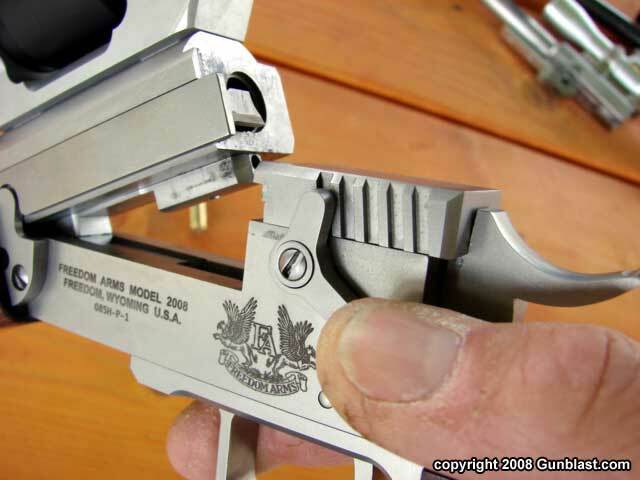 CLICK HERE for a Model 2008 Spec Sheet (PDF file).